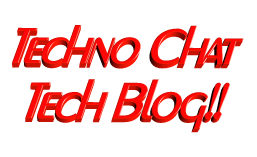 Easy Chat | Techno Chat|Tech Blog!! Again, as per business requirement, we are looking for some free internal (LAN) chat solution. There are some free LAN chat tools available but most of them are failed to detect multiple VLAN, only working fine in single VLAN. But we need something which can be implemented on more than 50 branches across India. So we are looking for a free chat server. There are some chat servers available, but none of them support Active Directory (LDAP) authentication. Suddenly we found a solution, actually it’s not a single solution, it a combine solution of PHPBB3 and AJAX Chat. Posted in Others, Scripts, Server, Windows. Tagged Active Directory Chat, AD Chat, AJAX Chat, AJAX Chat - Open Source Web Chat, AJAX Chat Server, AJAX Chat with LDAP, Chat Server with Active Directory Authentication, Chat Server with Active LDAP Authentication, ChatServer with AD Authentication, Easy Chat, Enterprise Chat Server, Free Chat Server, Free Web Chat Server, freen Enterprise Chat Server, LAN Chat, Lan chat server, LAN Messanger, lan talk, PHPBB3 LDAP Authentication, PHPBB3 LDAP Tutorial. Windows 95 and Windows 98, the only operating systems that has the year-2000 bug built into the name.